We’re a little late about announcing National Reading Group Month, but there’s still two weeks left for you to participate if you are part of a reading group. What is it exactly and when was it formed? National Reading Group Month is an initiative of the Women’s National Book Association (WNBA). Founded in 1917, WNBA promotes literacy, a love of reading, and women’s roles in the community of the book. 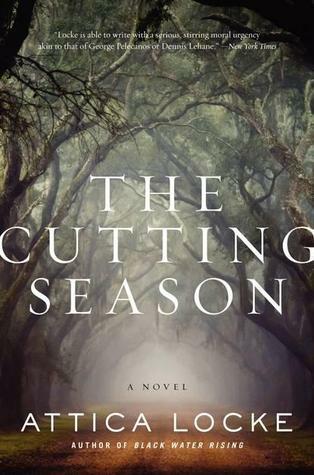 According to the Dallas Morning News: The Cutting Season is a riveting thriller that intertwines two murders separated across more than a century. Taut, hauntingly resonant, and beautifully written, The Cutting Season is at once a thoughtful meditation on how America reckons its past with its future, and a high-octane page-turner that unfolds with tremendous skill and vision. Born to a Russian family of lower nobility, Xenia, an eccentric dreamer who cares little for social conventions, falls in love with Andrei, a charismatic soldier and singer in the Empress’s Imperial choir. Though husband and wife adore each other, their happiness is overshadowed by the absurd demands of life at the royal court and by Xenia’s growing obsession with having a child—a desperate need that is at last fulfilled with the birth of her daughter. But then a tragic vision comes true, and a shattered Xenia descends into grief, undergoing a profound transformation that alters the course of her life. Turning away from family and friends, she begins giving all her money and possessions to the poor. Then, one day, she mysteriously vanishes. Years later, dressed in the tatters of her husband’s military uniform and answering only to his name, Xenia is discovered tending the paupers of St. Petersburg’s slums. Revered as a soothsayer and a blessed healer to the downtrodden, she is feared by the royal court and its new Empress, Catherine, who perceives her deeds as a rebuke to their lavish excesses. In this evocative and elegantly written tale, Dean reimagines the intriguing life of Xenia of St. Petersburg, a patron saint of her city and one of Russia’s most mysterious and beloved holy figures. 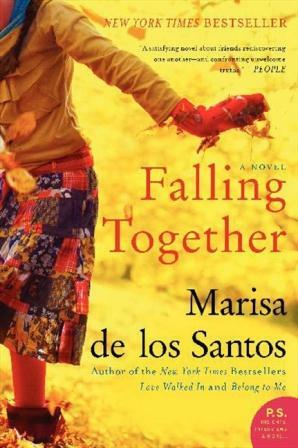 This is an exploration of the blessings of loyal friendship, the limits of reason, and the true costs of loving deeply. At the turn of the twentieth century, in a rural stretch of the Pacific Northwest, a reclusive orchardist, William Talmadge, tends to apples and apricots as if they were loved ones. A gentle man, he’s found solace in the sweetness of the fruit he grows and the quiet, beating heart of the land he cultivates. One day, two teenage girls appear and steal his fruit from the market; they later return to the outskirts of his orchard to see the man who gave them no chase. Feral, scared, and very pregnant, the girls take up on Talmadge’s land and indulge in his deep reservoir of compassion. Just as the girls begin to trust him, men arrive in the orchard with guns, and the shattering tragedy that follows will set Talmadge on an irrevocable course not only to save and protect but also to reconcile the ghosts of his own troubled past. Dr. Regina Moss has built herself a successful career as a psychiatrist in Boston: she enjoys a lucrative private practice, hefty consultation fees, and a reputation that inspires colleagues and patients alike. Why then, is Regina haunted by her past? Why does her own daughter barely speak to her? What’s the story with her gruff, softhearted husband Walter—and why can’t Regina stop thinking about the lanky new tech on the ward? 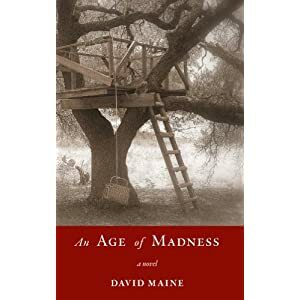 An Age of Madness peels back the layers of Regina’s psyche in a voice that is brash, bitter, and blackly humorous, laying bare her vulnerabilities while drawing the reader unnervingly close to this memorable heroine.